Wondering how to do a live webcast with multiple cameras? Using DaCast and Wirecast, you can easily do a live broadcast, even in high definition. 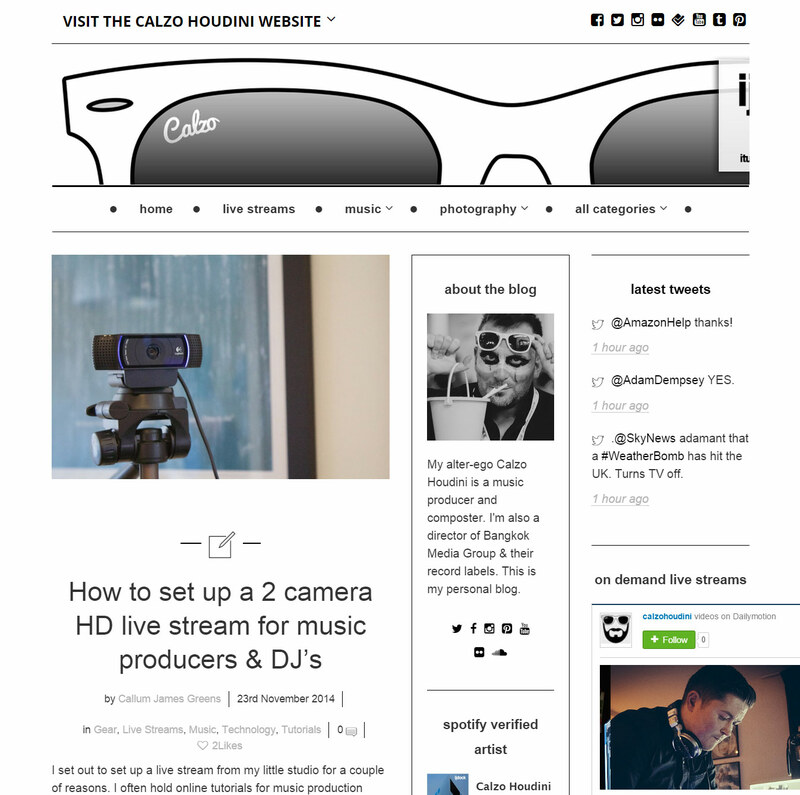 Music producer Calzo Houdini has laid out everything you need in a perfect guide on how to live stream video. Calzo gives the sound advice of trying to secure at least a 20mb per second upload speed if you plan to do a HD broadcast. A general rule of thumb is to not exceed about half of your upload speed in your broadcast quality. So if you need a 10mb per second feed for HD, that means you will need 20mb per second on your upload speed. Not sure about your upload speed? Do the free TestMy.net upload test to verify. Coming back with only 2-5mb on your upload speed? That means high definition broadcasting is out of reach. However, it does not stop you from doing a a high quality stream. 1mb per second and up is generally considered great quality by web standards. Other points to consider is that a wired connection is always preferable to wireless. If you are using Wi-fi, make sure your path to the router is clear and try to leave more overhead in terms of your upload speed with that of the stream quality. To broadcast, you are going to need a camera. The stereotype is a large, bulky camera that gives excellent quality but costs in the thousands. While this would be optimal, only requiring a capture card in addition to get started, there are easier alternatives. 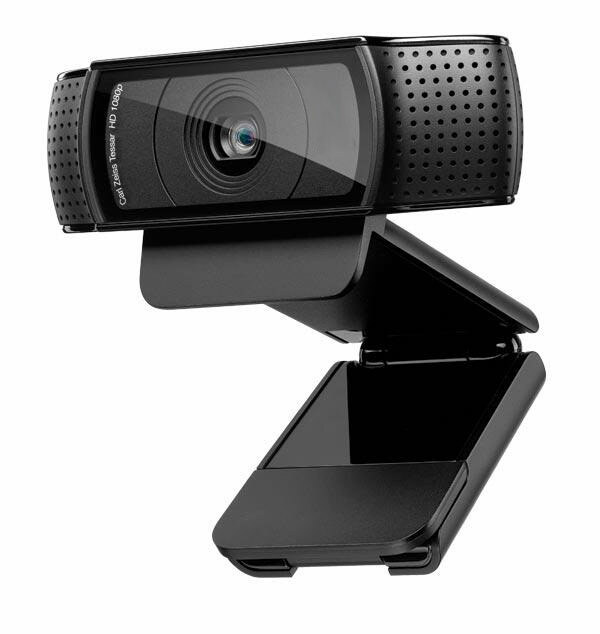 Calzo in particular suggests the Logitech HD Pro Webcam C920. Through being a webcam, this avoid having to do a capture card and greatly simplifies the process. It’s much more affordable than a traditional camera, as Logitech sells it for $99. You can generally find it for even less, with Amazon selling it for $69.95 at the time of writing this. Now the C920 is not the latest HD webcam from Logitech, in fact there is a C930. However, price point is an important factor since you are doing a multi-camera stream. Saving $30-40 per camera can add up when you need several for your broadcasting needs. Also, if you are using webcams through a software encoder setup, you will likely need a creative way to feed them both into your desktop. Calzo suggests a Belkin USB hub to achieve this. The fact that this is going to be a multi-camera stream does limit the encoder options a little. Adobe Flash Media Live Encoder is the “go to” option for many because it’s free. However, it doesn’t offer supper for camera switching. For this, Calzo suggests the battle hardened Wirecast encoder by Telestream. The encoder is not cheap, as runs for $495 or $995 depending on if you want the regular or Pro version. You can get a 10% discount on the encoder here, but it will still run as the most expensive aspect of your streaming project. Thankfully, the encoder offers a free trial and is incredibly easy to switch between the different inputs, making it ideal for a multi-camera project. The other part of the equation is a streaming provider. Calzo recommends DaCast on account of the great stream quality, embed options and how it seamlessly works with Wirecast. DaCast plans start as low as $25 a month, and offer streaming through a CDN which powers Apple, Facebook and more. This means you get top of the line, worldwide delivery and don’t need to worry about congestion if you attract a large audience. Embed options are available for your website, Facebook and Twitter at all plan levels, giving you flexibility in reaching viewers as well. That’s it, you have everything you need to begin doing a multi-camera cast. 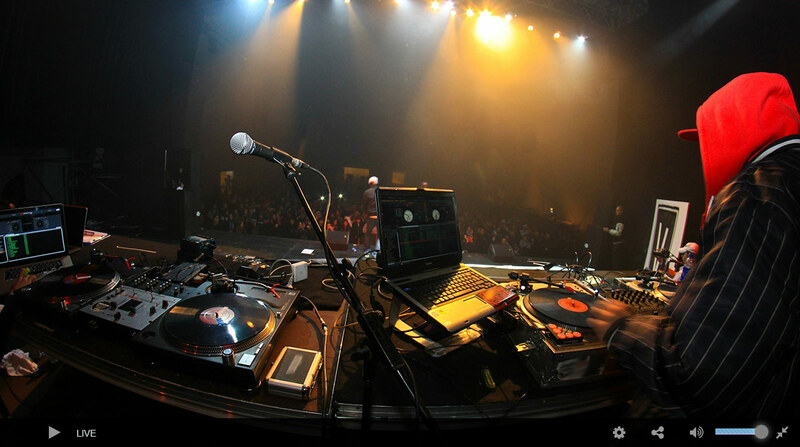 If you are using this for music, be sure not to miss Calzo’s original post as he goes into more detail for DJ’s in getting this setup. Below is an excerpt from the original article and a link back to it. “I use DaCast. Despite DaCast not being a free to use service it is very reliable and you get great stream quality. You can embed your stream into your own website, on facebook or view the stream perfectly on all mobile devices like iPads, Android, iPhone etc. I follow the Wirecast forum as well as the DaCast blog and News. I’m a musician putting a project together that will include live streaming. I would love to see more resources and advice on the internet connection aspect of live streaming. 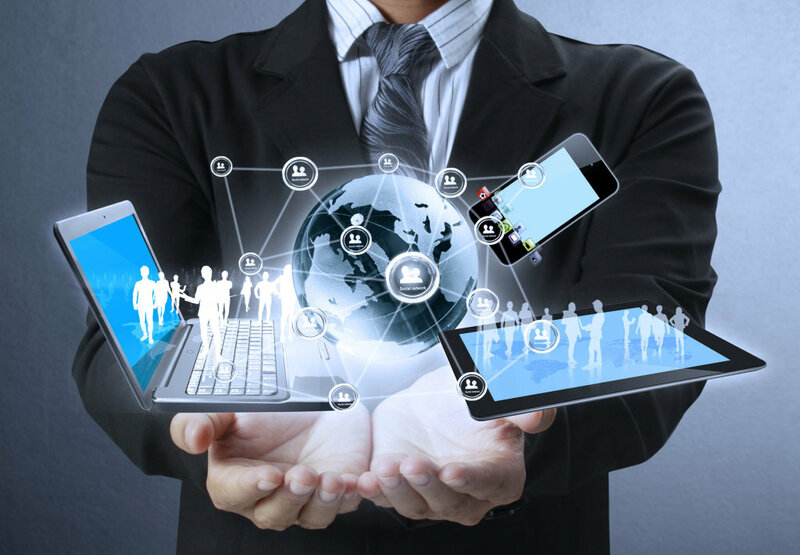 Options – bonded connections, hard wired connections, satellite connections – for streaming from different locations while traveling, for instance. How you do that at distance ? Skype ? Or wirecast offer this option ? SwitcherStudio app for iOS works great for broadcasting multiple iOS device cameras, put I’m having trouble getting it to work with the special authentication for the “new” Akamai RTMP channels on DaCast. Any insights on this? Sadly not. It should work fine with the older Flash channels, but have run into that issue a number of times with the new Akamai channels due to the required login and password. Right now, if they don’t have a login and password field, can cause issues unfortunately. You can do multiple input switching with layers and a lot more with Xsplit Broadcaster, switcher & encoding software for Windows. The commercial license is $59 per year. The free demo works well for testing. You use the Akamai plugin to stream to your DaCast channel. There is a app called Live:Air and allows you use multiple cameras including the iPad camera and a iPhone camera. Not sure about the Android platform. Thanks for sharing this Wiley. Have you used the app yet? I’ll check it out! Only in test mode. The apps worked with Ustream and LiveStream with no problem but version 1 would not connect with Da Cast. Communicated with the support team at Teradek (the app Developers) and the told me it would fixed with an update. And the pushed an update out quickly and it works perfectly now. The bigger question that this article fails to ask is what are you streaming? if you are streaming subjects at any distance you will not be using Logitech cams. If you are in the U.S. you will be hard pressed to find readily available 20 mbs upload connections. I stream in major hotels and most often don’t get 20mbs. Wirestream is a good product but better alternatives would be xsplit or vMix. if you are streaming with logitech cams your budget is obviously not that big .